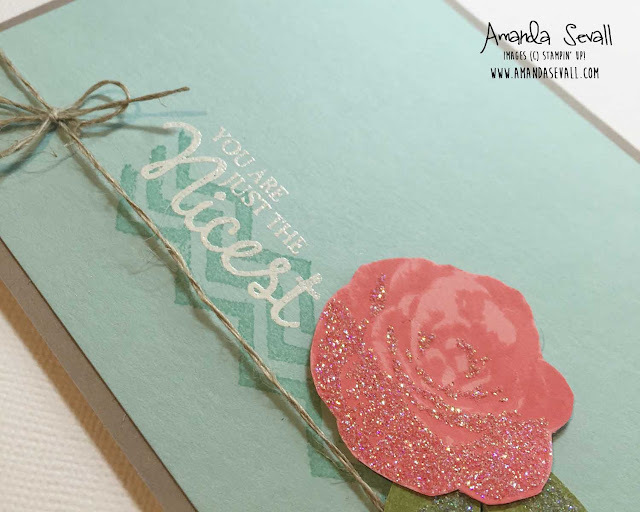 Amanda Sevall Designs: Card: You Are Just the Nicest. Happy first day of summer! Today, I have a fun "summery" card to share! This stamp set is multi-step stamping... three steps to be exact! For my first two steps, I used our new Flirty Flamingo ink on Flirty Flamingo cardstock. For the third step, I used Heat & Stick Powder with Dazzling Diamonds Glitter to make it sparkle! I repeated the same steps on the leaves using Wild Wasabi. The chevron in the background? That's from the stamp set Work of Art. 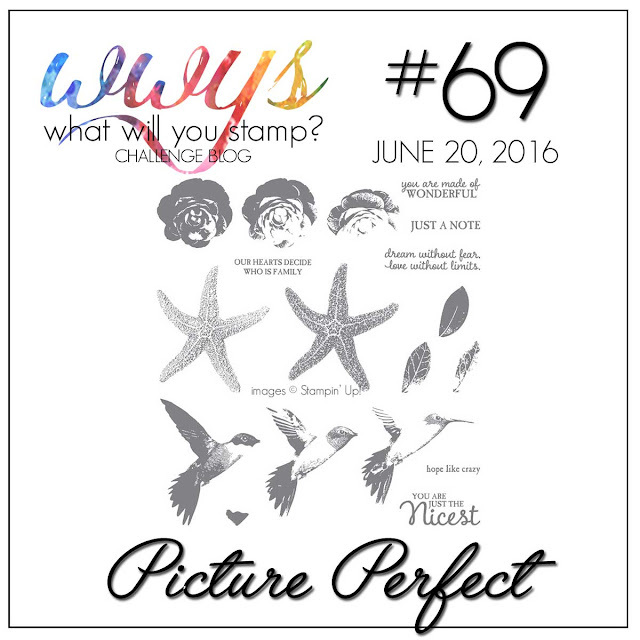 Hope you'll take a few minutes to check out all the gorgeous cards from the What Will You Stamp? Design Team -- I'm going to have to make some more cards after seeing all of their awesome creations this week! This is so pretty! The color combination is gorgeous.